Located in W ½ of NE ¼ of Sec 28 T 20 R 32. Located about ½ mile east of the junction of Batum Road and Tokio Road, on the south side of Tokio Road, sitting back in the field about ¼ mile. The German Congregational Church of Batum once sat on the north end on this site which measured 680 ft in length, the land gifted conditionally by Andreas and Justina Janke (Adams Co Auditor, Vol. 23 page 516, Dated June 25, 1907) The condition of the cemetery has deteriorated and the stones are badly damaged. 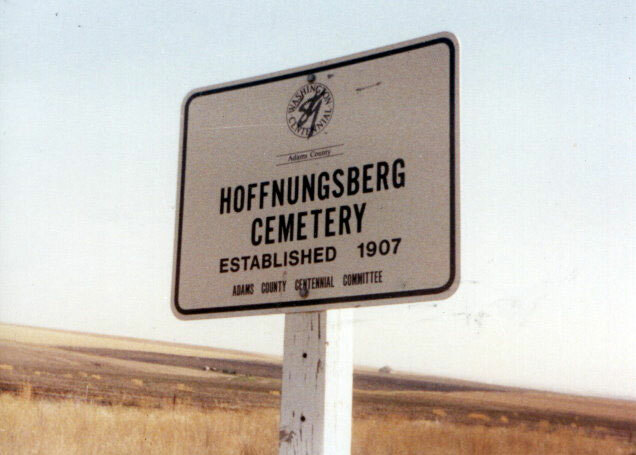 The information for the memorials for this cemetery made on Find A Grave by Theresa Berg were compiled by Marjorie Womach from obituaries, church ledger of funerals, tombstones, W.C. Raugust, Haight Funeral ledger and death certificates. Updated 20 May 2010.